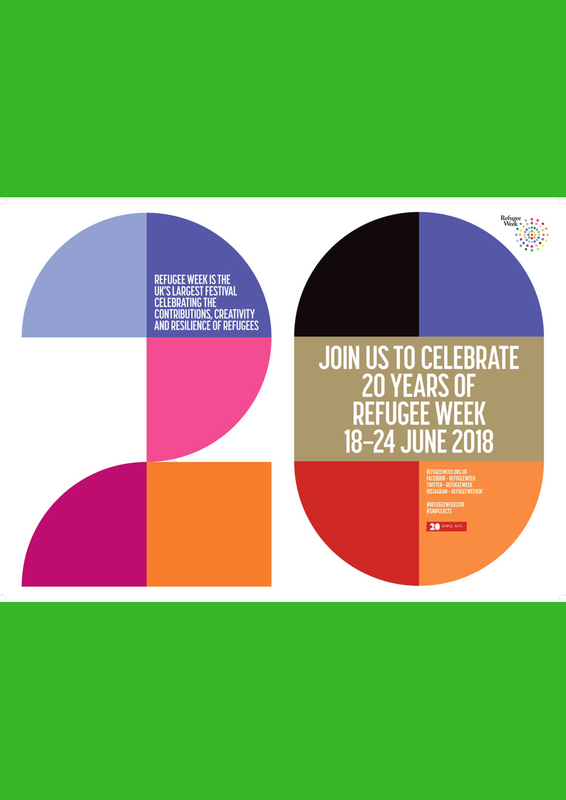 In aid of Refugee Week's '20 Simple Acts’ Campaign, The Collective will open its doors to the local community, celebrating and integrating our refugee and migrant population outside of Old Oak. With speakers, art and music, we'll show attendees that how easy it really is to discover the connected, unified and diverse world we envision ourselves living in. 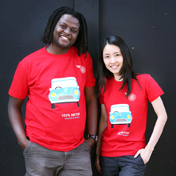 A world where we live as one! From 2pm we’ll be introducing a number of speakers, including Maurice Wren (CEO of Refugee Council), Emily Churchill (Counterpoints Arts), Abraham (Oxfam), Rachel Mantell (Refugees at Home), Maddie Harris (Founder of Humans for Rights Network) and more. This will be followed by a short film screening. In the evening (6:00pm-8:00pm), we’ll enjoy some live music and drinks, a perfect chance to network with like-minded individuals and strengthen our community further. Entry is free, but limited! 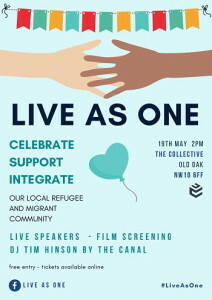 Donations on the day are welcome and will be split between the organisations helping us to put “Live As One” together.